Hey friends! So it’s the last day of doTERRA BOGOs, and I’m gonna take a quick minute to tell you all about today’s BOGO. It’s a great one! Today only if you purchase doTERRA OnGuard (Protective Blend) essential oil, you will get doTERRA’s OnGuard foaming hand soap and two soap pumps absolutely free! 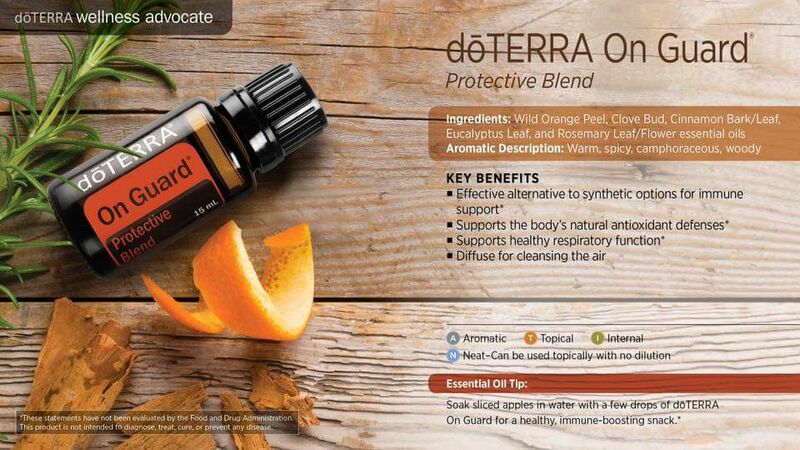 OnGuard was the first doTERRA essential oil I used. I had throat discomfort, and my friend let me use some of her OnGuard oil topically on my throat. I fell in love with the results, and got a starter kit! Now before I get into the uses of OnGuard, I want to let you know that you can use this oil aromatically in your diffuser, topically on the area of concern, and internally. It makes a great hot tea! Be sure to dilute this oil if you’re using it on someone with sensitive skin. Also, I think it’s pretty self explanatory on how to use the hand soap, so I’ll skip over that product. The past year I have simplified my skin care routine dramatically. When I decided to try something new, I was coming from a place of disappointment and frustration. I already wasn’t impressed on the chemicals I was using to address my skin care issues, and I felt like I was wasting money on so many products and systems. Sadly, many of our skin care products are filled with chemicals and toxic ingredients that can be harmful for our bodies. Here’s a look on my journey for a clean skin care routine. Rewind about a year and a half ago. I was pregnant with our baby girl, and breaking out all the time. So “naturally” I turned to the grocery store, looking for a face wash that claimed to get rid of acne and promote clear skin. This was just a habit I had from my teen years when I dealt with acne so I thought it was the way to go. What I found was disappointment after disappointment. On top of that, my skin was really dry. I found that any moisturizer I tried just left my skin feeling heavy and greasy, and I’d have to reapply the moisturizer just a couple hours later because dry spots would return to my skin. I never thought at 30 years old that I would have more skin issues than when I was 13 years old. I continued to struggle with this even after Sarah was born. I was casually chatting with one of my sisters about it, and she mentioned that when she eliminated diary completely her acne cleared up. At this point I already wasn’t drinking milk, but decided to get rid of the cheese and yogurt too. I also added some doTERRA essential oils to my routine and ditched the typical store bought face wash.
*Wash my face with bar of soap (I’m not specific on this. Just any bar of soap where I know all the ingredients) once a day. *Use (diluted) doTERRA Immortelle as my moisturizer twice a day. *Limit my dairy intake. I still eat cheese occasionally, but instead of diary every day, it’s more like once a week. That’s it y’all. 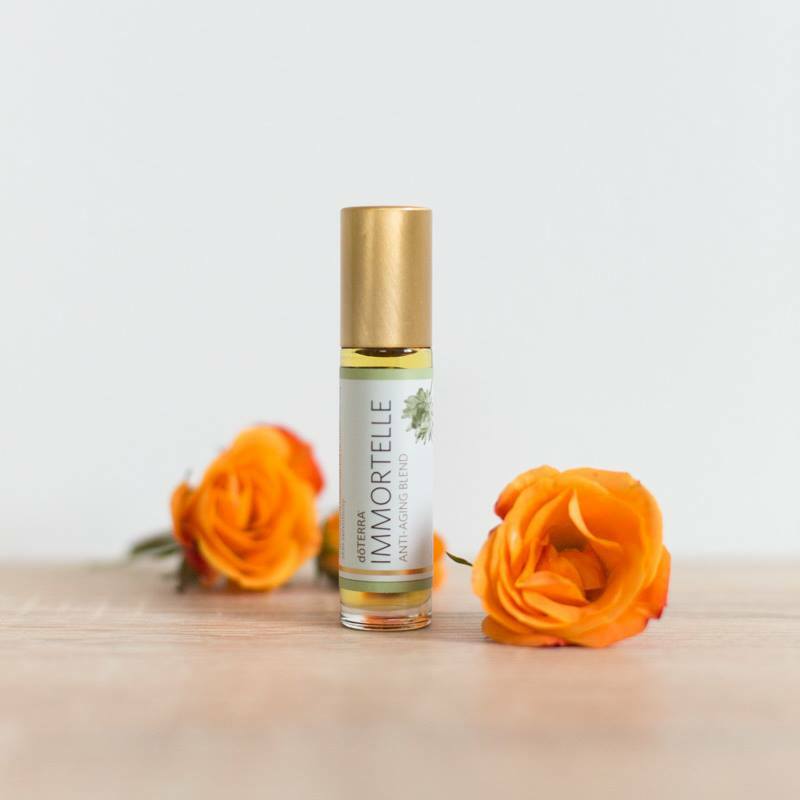 Now I’ll go into more detail about the specific benefits of doTERRA Immortelle in my next post, but a few basic benefits are: anti-aging, fights blemishes, and combats age spots and wrinkles. It comes in a roller bottle, undiluted, but I get the most bang for my buck by diluting half of it and putting the other half in an empty roller bottle and dilute it as well. So it’s like getting 2 bottles of Immortelle for the price of one! I’ll be posting a YouTube video on this soon, so if you’d like to see the process be sure to Subscribe to my YouTube Channel: Amanda Gerber. I highly encourage everyone to simplify their skin care routine. Even if you’re not struggling with acne or dry skin, I urge you to be aware of what you’re putting on your skin every day. When you start the process, just know that your skin may need to detox and it could take a few weeks for your skin to adjust, but your body will thank you in the long run. I know everyone’s skin is different and responds to different things. I’d love to hear from you: How do you naturally care for your skin?